Looking for your slice of Coastal Paradise? Look no further! Situated on a premier Ocean View Lot within the award-winning community of 1 Channel Island-this richly detailed coastal plantation architectural style home embraces all the amenities today's buyer desires-even an elevator! 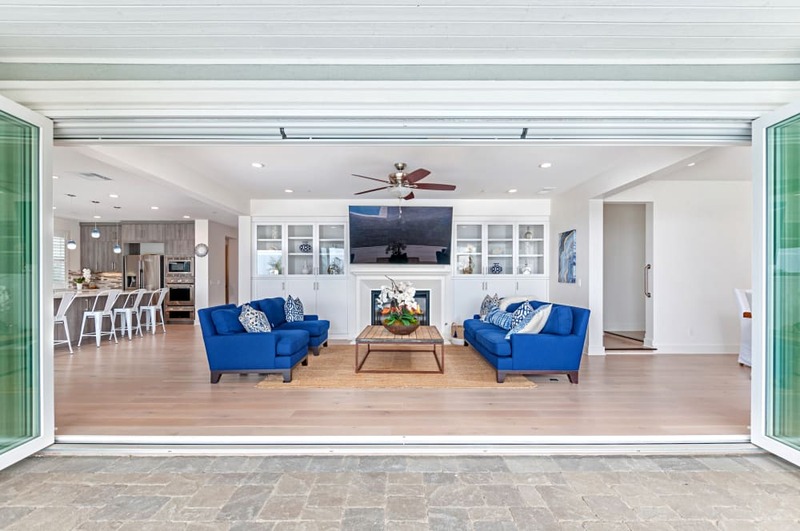 Light, bright and open, wood floors throughout and multiple panel folding glass walls seamlessly connect indoor and outdoor living. "Coastal living at its best"
ld glass doors. There is an IQ Air upgraded filtration/HEPA system located in the attic. For all electric car owners, the garage is prewired for an electric charging station. Outdoor landscaping includes pavers in the front and back yard, outdoor lighting, outdoor kitchen and newly built pool house/cabana plus a salt water pool with built in umbrella holders. The addition of 20 Solar Panels help create an energy efficient home. No disappointments here-this is truly as good as it gets! Known for its surf spots, stunning ocean view properties, independent shops and laid-back vibe, Encinitas is hands-down one of San Diego’s most charismatic beach towns.